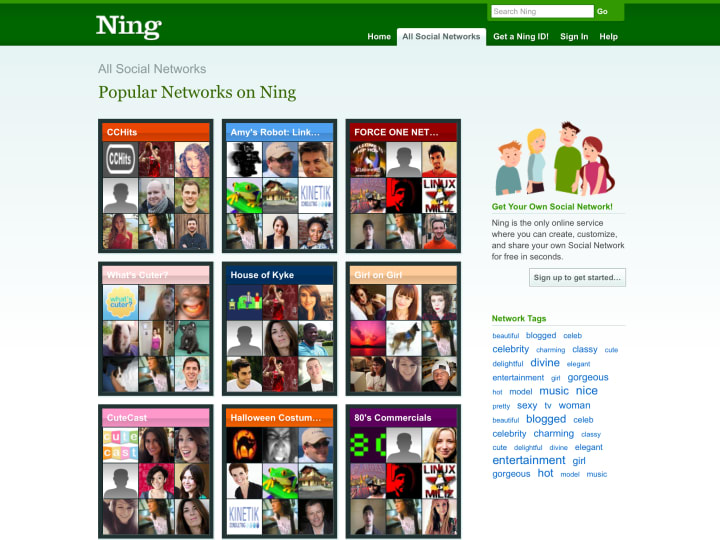 Ning is an online platform that allows people to create customised social networks. I was lead designer from January 2006 to October 2007. Working alongside the company’s CEO and designer David Warner, I helped to define and then launch what would become the company’s core product offering: Your Own Social Network . This strategy would see the company move away from a portfolio of 20 single-feature social applications aimed at developers, to a consumer-focused product that allowed any group or individual to create and grow a social network around a niche interest, passion or topic. Press coverage of the new product was incredibly positive, and by 2009 the company had helped customers launch over a million social networks. Instead of doing too many things, the latest iteration of Ning is focused, simple and streamlined. The ease with which one can get going is one of the most impressive aspects of the service. I have to hand it to Ning – it took them well over a year after their initial beta launch to fulfill their promise of allowing “anyone” to create social applications, but they’ve done it. Ning relaunches tonight with new functionality and an interface that allows even the most novice of web users to create their own highly customized social network in moments. 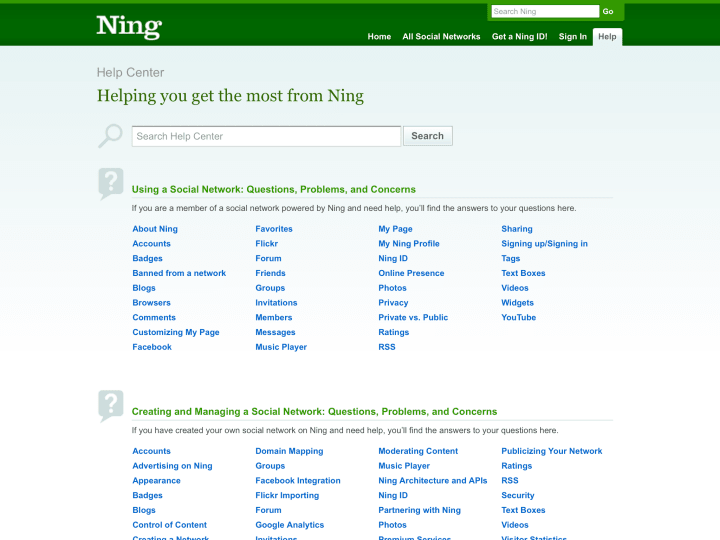 Ning has completely rebranded as a social network builder. Personally, I think this is a brilliant move. After just a few seconds on the front page, it’s absolutely clear what you can do. You can still make all the same stuff that you always could on Ning—videos, photos, blogs—but now it’s all wrapped up as part of a clearer goal: creating your own social network site. As well as helping to devise the overall product experience, I developed the underlying HTML framework, customisation system and initial set of themes. I was also responsible for the company’s branding and marketing. While many start-ups tended to use overly glossy and childish typography in their logos and communication, Ning’s branding featured a distinctive logo set in Clarendon, giving the company a more grown-up and trustworthy appearance.